If you have time on your hands, I also posted the trip in actual time (1 hour and 16 minutes – 1:16). 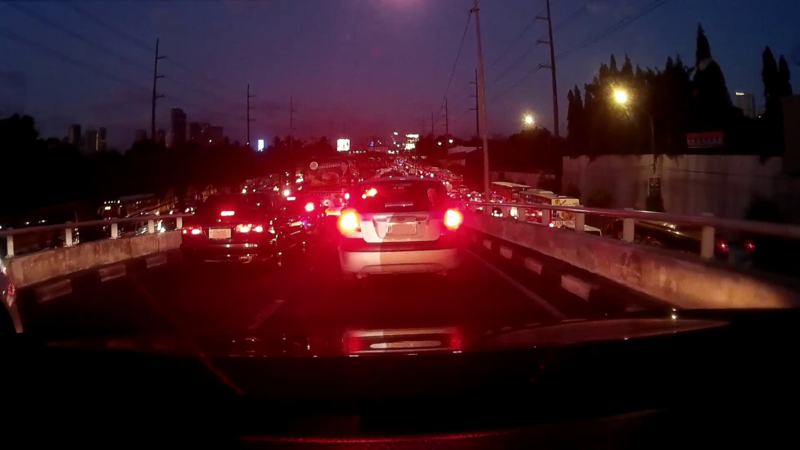 Slog through with me on a magical tour of Manila traffic and enjoy the sights and the brake lights. For those of you who’ve had enough of this traffic, you can stop here. 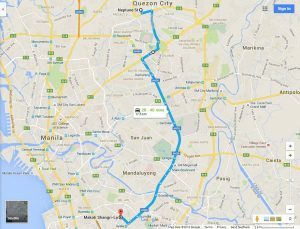 For those who are not faint of heart, still have time, and are curious, journey with us on our return trip from Makati to Quezon City in the evening rush hour. We left Makati Shangri-La Hotel in Ayala Ave. at 6:00 pm for our return trip to Quezon City. A lot of folk advised us of the traffic during rush hour and they were right! 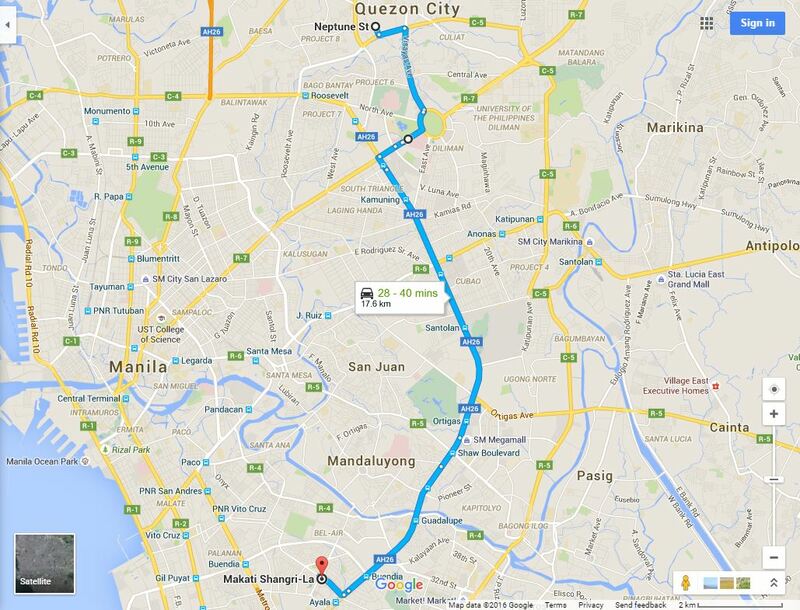 Travel time from Makati to Quezon City was two hours and 10 minutes (2:10). Speed — 8 kph or 5 mph. At this speed and distance, the bladder of a senior citizen fills up quickly and so we had to take a potty break at a gas station (I did not include the potty stop in my time and speed calculations). Ok, for you traffic masochists, here is the entire two hour and 10 minute (2:10) video. The neon lights on the highway and the red brake lights from the car paint a pretty picture of the concrete and asphalt jungle and, believe me, there are animals, er, inconsiderate drivers out there. So, that’s it. I share the frustration of those who suffer this daily workday grind. And for those who are not from or do not live in Manila, I hope that I may have somehow given you an idea of how it feels to be stuck in the Metro Manila traffic for hours. Political commentary: One of the reasons that one of the presidential candidates lost because of the terrible traffic in Metro Manila. I hope that our new administration can do something about this horrible traffic mess.